Friday's selling confirmed the second shorting opportunity with support breakdowns across lead indices. The S&P closed with higher volume distribution on a breakdown of rising support. Relative performance remains weak although there are still 'buy' triggers for MACD and On-Balance-Volume. 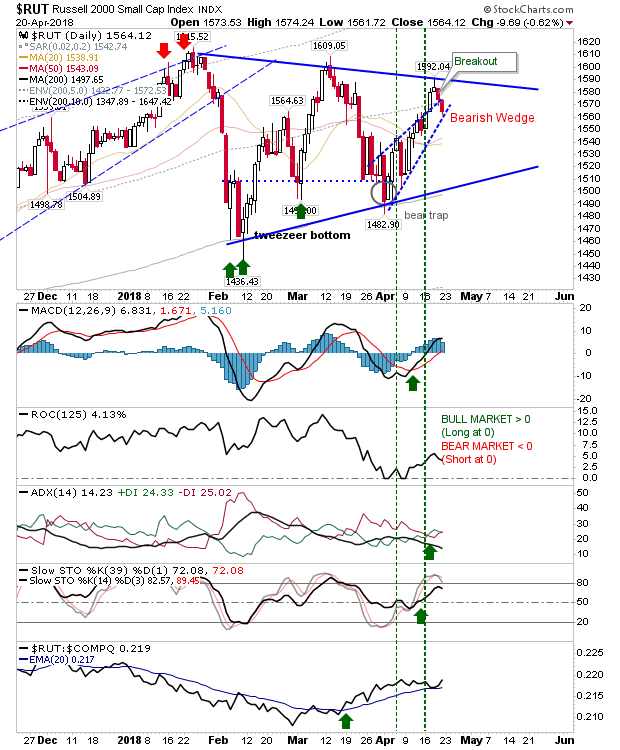 The Nasdaq did likewise, although the support break of the bearish wedge coincided with a 'bull trap'. However, this occurs within the context of a larger trading range but the initial trade can look for a move down to range support just below 6,800 and/or 200-day MA. 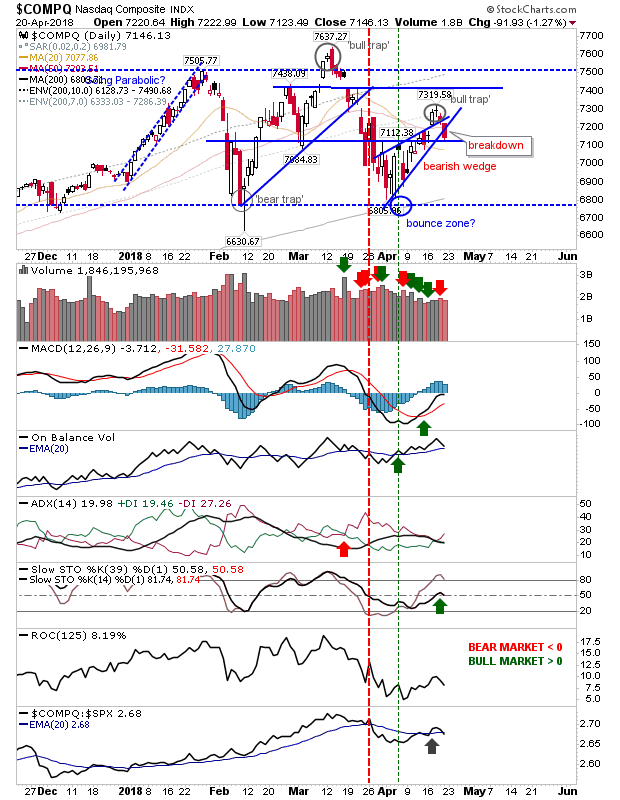 There is a 'buy' signal for an On-Balance-Volume and MACD but these are likely to move to 'sell' triggers in the coming days especially with the MACD below the bullish zero line. The Russell 2000 did a break from the 'bearish wedge' before it fell back inside wedge trading range. Given what's happened in the Nasdaq there is a good chance this will follow through lower. Bulls can take comfort that relative performance remains in its favour. The other index of note was the Semiconductor Index. Action here is perhaps the most troubling as it lost long term support while relative performance fell through the floor. Only the 200-day MA is left to offer bulls a chance for a bounce. 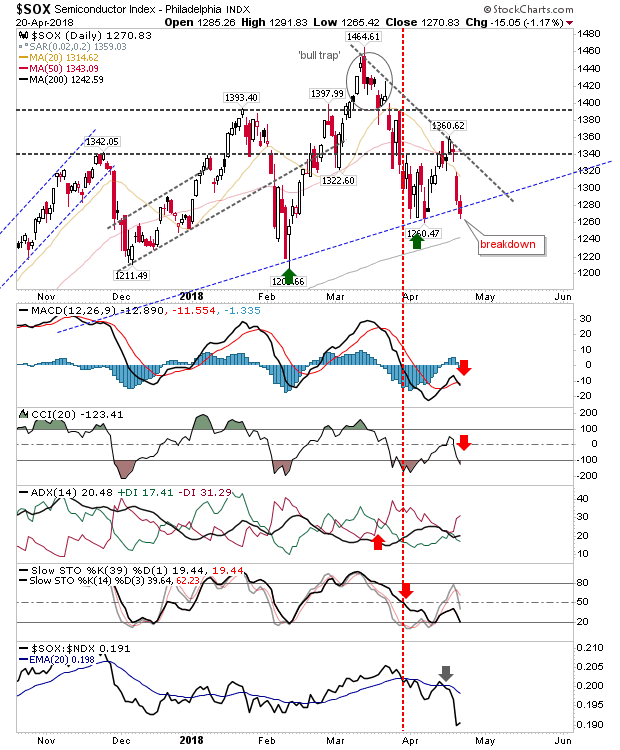 For tomorrow, look to Tech Indices and Semiconductors for leads. 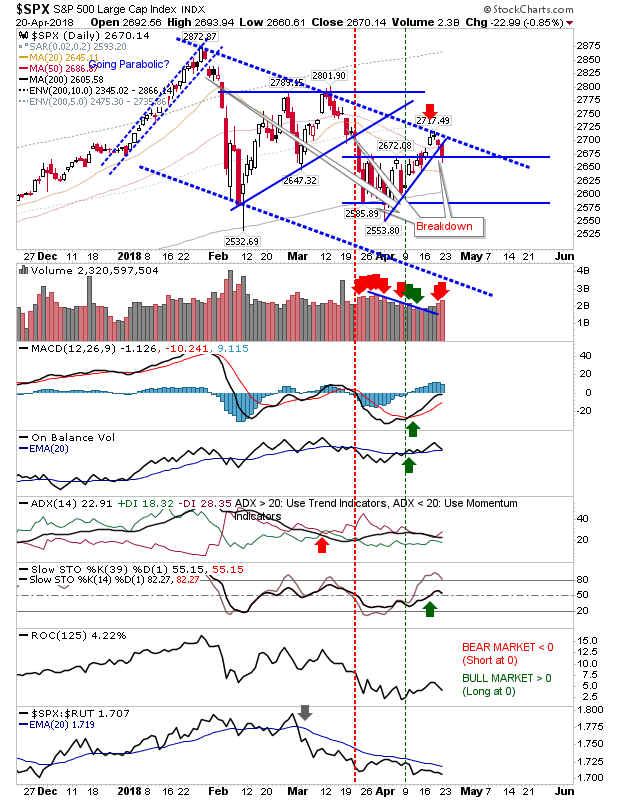 A soft open will set up a bearish wedge breakdown in the Russell 2000, with all indices looking at 6-month trading range support and/or 200-day MAs as an initial downside target.